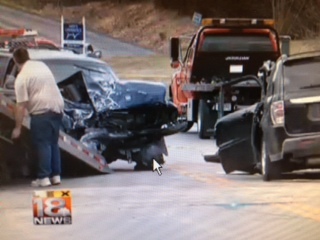 A motor vehicle accident in Estill County, Kentucky has left 2 innocent people dead. William Neal was driving his SUV when a vehicle driven by an 18 year old over corrected her driving and entered Mr. Neal’s lane of traffic. William Neal died at the scene of the crash and his passenger, Ronald Whitaker, died at the hospital following the crash. This tragic accident was not the fault of Mr. Neal or his passenger Mr. Whitaker. As such, Kentucky law will afford the families of both Mr. Neal and Mr. Whitaker justice. Those families will be able to make a Kentucky Wrongful Death claim against the parties at fault for this tragic accident. The legal monetary damages will be large and include pain and suffering, medical bills and expenses, funeral expenses, and a calculation of the lifetime lost earning capacity of these 2 men. As such Estates will have to be established to make these claims and experienced attorneys dealing with the various possible avenues of insurance coverage recovery will be needed by the families of these two deceased men.